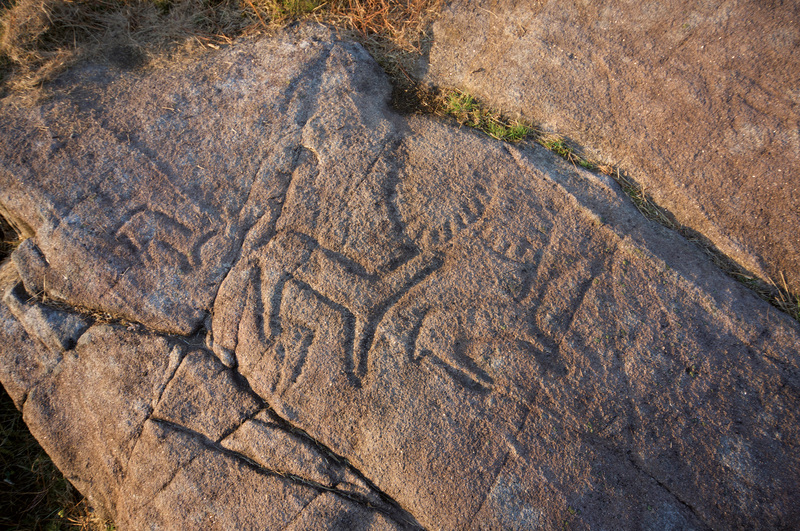 If Galicia is a museum filled with petroglyphs, Campo Lameiro is its most famous hall. Or one of the most famous, at least. Contained within the Parque Arqueolóxico da Arte Rupestre (PAAR), in this area in the centre of the Community you can find some of the largest, best accomplished and most striking prehistoric engravings in all of Europe, much like a huge painting, thousands of square meters in size, where one can glimpse how Galicians lived before the arrival of the Romans. The PAAR is located in the Pontevedra municipality of Campo Lameiro, a small town in the province of Pontevedra with a population under 2,000 and located on the upper course of the Lérez River. Although known for a long time, the conservation of these prehistoric works of art located in its surrounding area began in the twenty-first century, and it became official with the 2011 inauguration of the PAAR. The Park opens with a spectacular building, modern and functional, which contains an exhibition that is convenient to visit before walking to the different “stations”. Because this is the name given to each of the rocky outcrops on which human beings left their mark in this area. There are about a dozen points distributed along a route of approximately three kilometres in length, easy to walk and well marked. Along the route there are numerous places where visitors can stop to watch the engravings, exceptionally well preserved. In some cases, the authors drew huge deer silhouettes, as is the case with the great Laxe da Forneiriña or the Laxe dos Carballos; in the latter, the main animal is pictured pierced by several spears and even seems to have a rope tied around its neck, in a lifelike representation of a hunting scene. In other stations the engravings multiply, in compositions that seem to fear empty spaces, with a succession of geometric traces, concentric circles, mazes and even people on horseback. This is the case with rocks such as the Outeiro dos Cogolludos or the Fonte da Pena Furada. Before each of the stations, the technicians installed an explanatory panel in which the petroglyphs that can be seen on the rock are also drawn. This is quite helpful, considering that some of the shapes have deteriorated due to the simple passage of time or the carelessness of humans. In addition, the way that light hits the rocks makes some engravings hard to identify: at the first light of morning and during sunset, when the rays of sunlight shine obliquely to the ground, are the best moments to see these millenia-old works of art. The visit concludes with a replica of a Bronze Age village that allows us a closer look at how people lived in this part of ​​Europe 4,000 years ago. Fences, storage areas and houses have been built using materials and techniques available at that time, portraying daily life. More than 15,000 people visited this outdoors museum last year, a highly recommended experience for both children and adults alike, who will feel like they have been transported four millennia into the past.